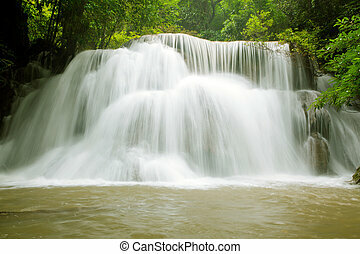 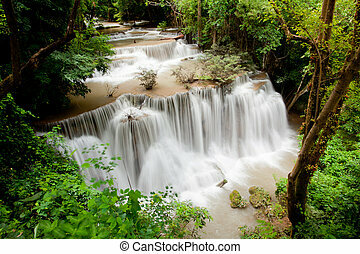 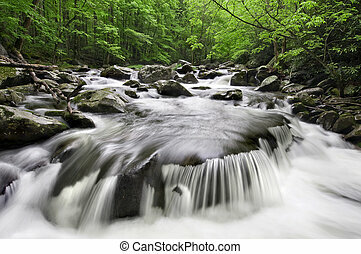 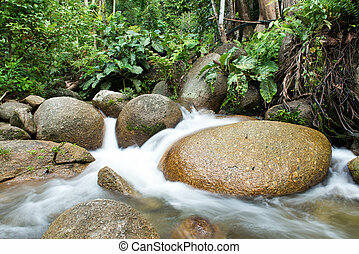 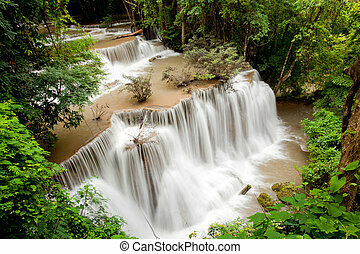 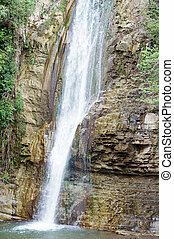 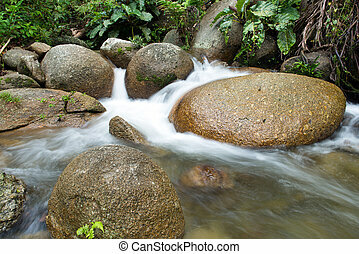 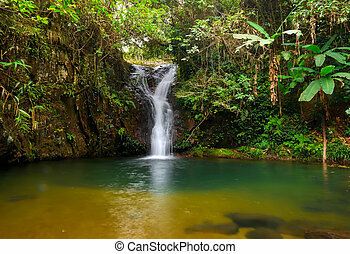 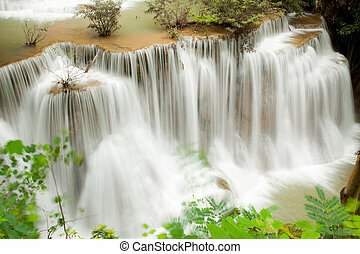 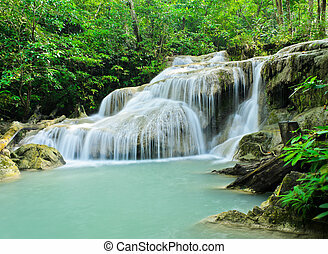 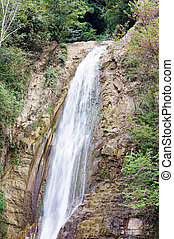 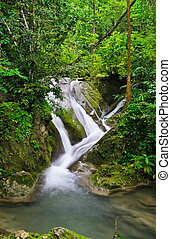 Rain forest waterfall. 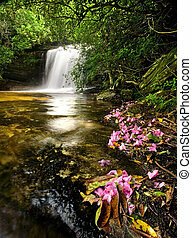 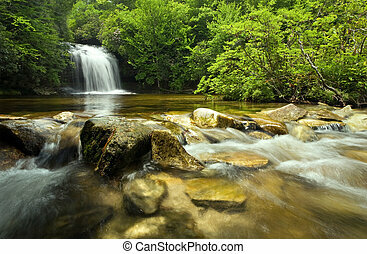 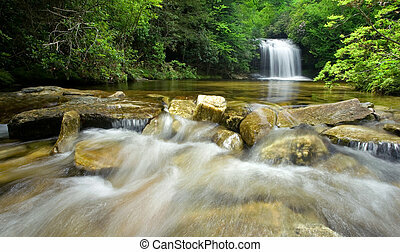 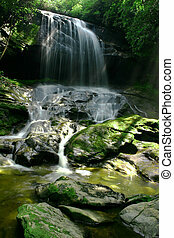 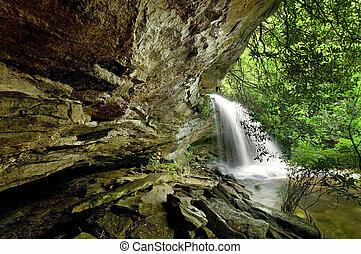 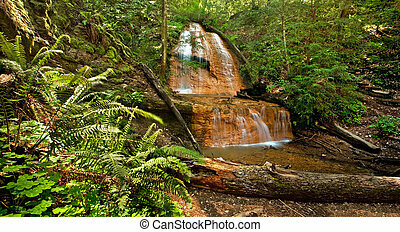 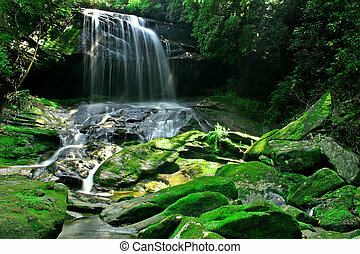 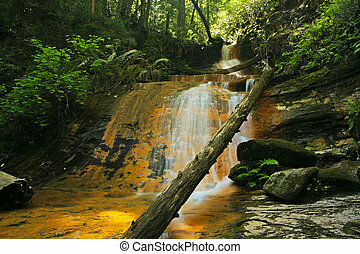 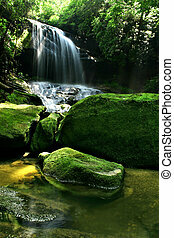 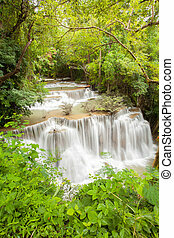 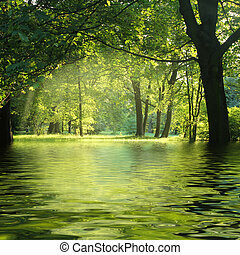 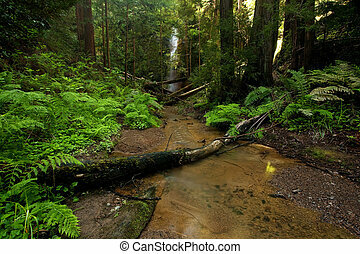 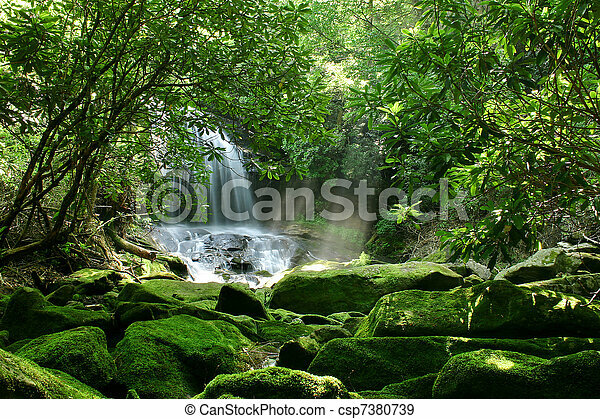 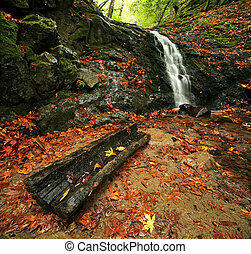 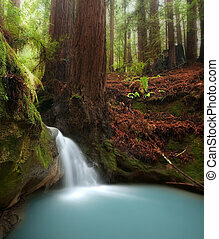 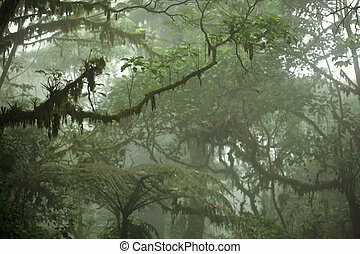 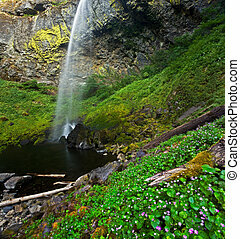 A hidden waterfall in a dense rain forest, with mist being lit up by sunlight and mossy rocks in the foreground. 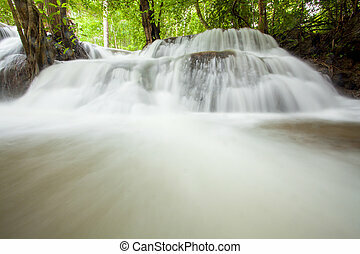 Dreamy Rain Forest Waterfall. 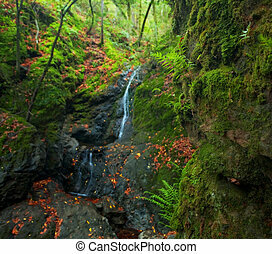 Focus is on near ferns and moss.